Due to the changes in our lifestyle and diet, a lot of us has been suffering from hair loss issues. Other than over-styling, there are few more reasons that may cause hair loss: physical and emotional stress, lack of protein and vitamins, as well as aging. 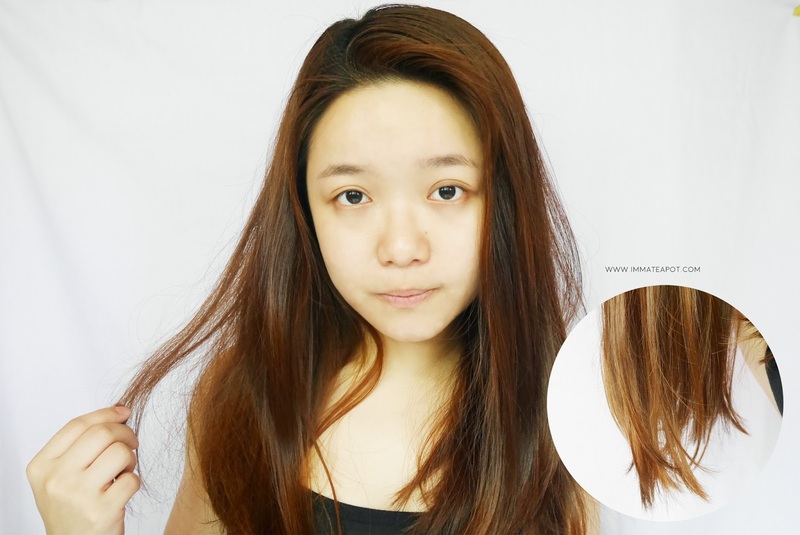 I used to opt for nourishing hair product, but then after a year of usage, there starts the excessive oil production on my hair that lead to minor hair fall condition. 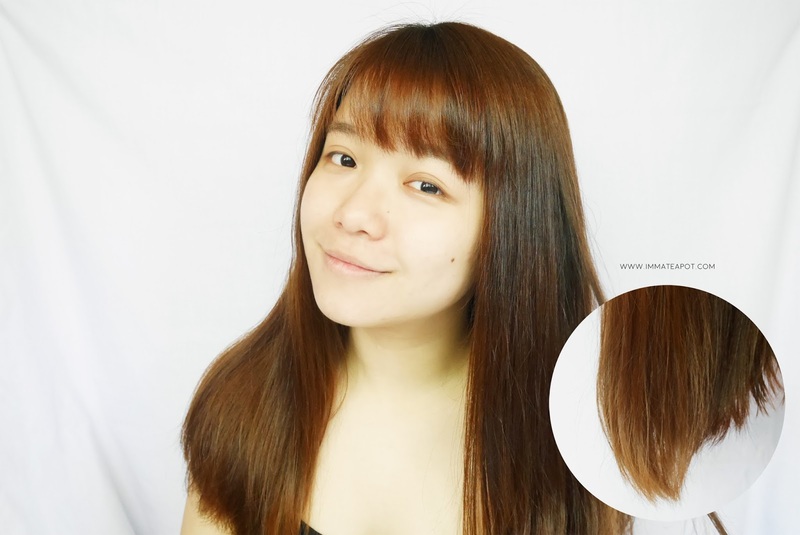 I started to opt for hair fall control products and I am glad that I found DR. SCHWARZ range from THE FACE SHOP, helping me to achieve voluminous and healthy hair. Yes! 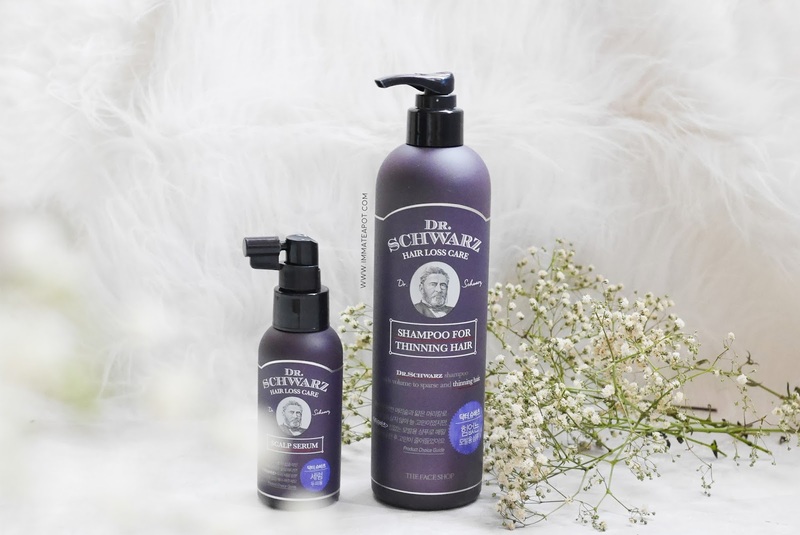 A hair loss care range products discovered by THE FACE SHOP - DR. SCHWARZ, formulated with natural ingredients that helps restoring healthy hair with safe and ultra nourishing formulation. It is a line created for those who has been suffering from hair loss, as well as seeking for natural scalp care products. FREE FROM silicone, parabens and sulfate surfactants. What are the FIVE amazing natural ingredients? 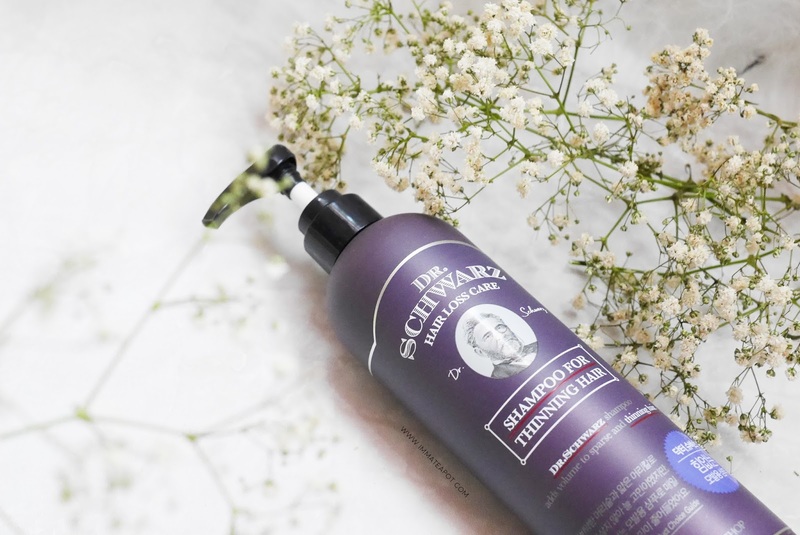 DR. SCHWARZ Shampoo for thinning hair, a shampoo that strengthen the hair roots while adding some volume to the hair. I was quite surprised during my very first usage on this Thinning Shampoo, the texture is so different from what I have been using. It turns from clear gel to white foam after contacting with water. It foams well on cleansed hair that washes daily but not really on oily hair like mine, especially when I tend to wash my hair like once on alternate day. It needs a few more pumps than usual. Unlike the usual hair product I have used, the texture is much dilute in clear liquid form, accompanied by a refreshing floral scent. 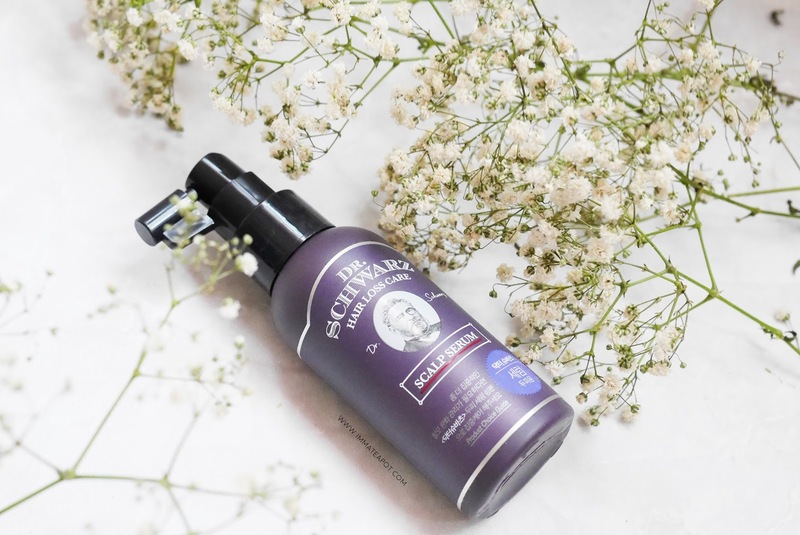 After shampooing and conditioning my hair, I apply DR. SCHWARZ Scalp Serum that helps to soothe and relieve various scalp concerns by delivering necessary nutrients and minerals. 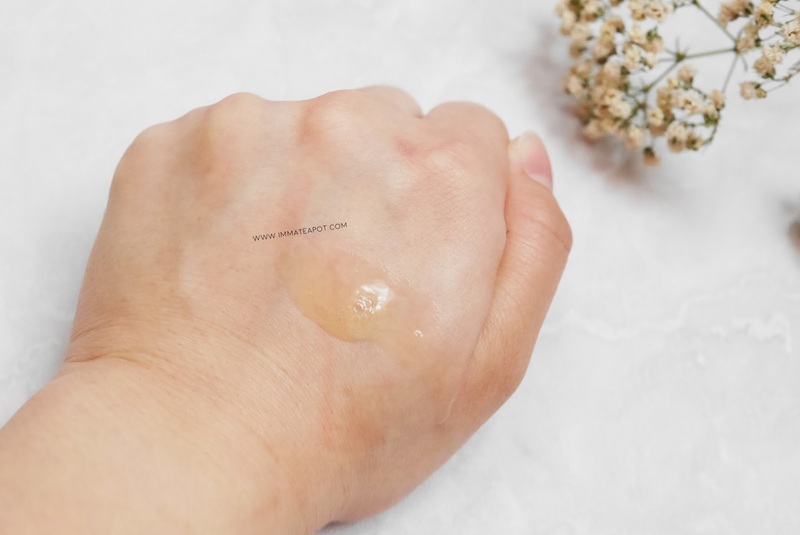 It comes in a clear slight orange-ish liquid texture, company with a soothing floral aroma, light-scented. The application is super easy, spray an adequate amount of serum on scalp and massage gently. Here's a picture for BEFORE. Excuse me on my bared face LOL. As seen in the picture (it is my second day for not getting a hair wash), my hair is pretty oily on the scalp area and frizzy at the end. It is dry and rough like grass. Here's a picture for After: Seee! Look so different LOL. Hair plays a big role! I was quite surprised that the shampoo does an amazing job on my hair! I love the refreshing floral scent on my hair, that I can simply flip it. My hair turns out smooth and 'nourished', superb sleeeeeek! I have lesser hair falls during the wash. Perhaps it works well after a long term usage. Can't wait! As I said, I wash my hair like once alternate day. Usually, my hair tends to get a little oily a day after the hair wash (Day 2), especially when I wake up, just on the top part. Yet, this shampoo is good enough to help on that, it doesn't turn out super oily the next morning, but oily on the third day, where I plan to get a hair wash. Overall, I am quite satisfy with this range as it really impresses me well. I have actually been looking for something that would bring the bounce back to my hair. Would love to give DR. SCHWARZ a try for its chemical-free product. Wow I love the result. I think I should try this product cause I want to add volume for my hair. Love your hair. 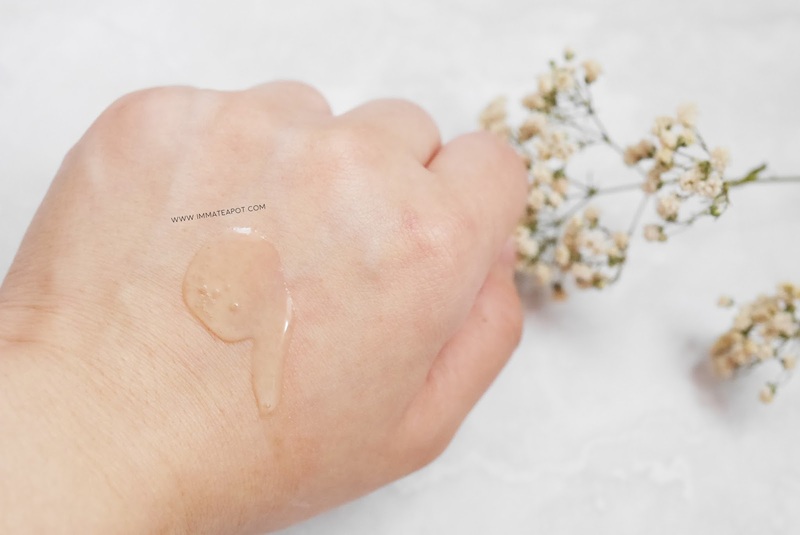 I've never heard about this range from TheFaceShop, thanks for the review! Wow..it really got different after you use it ! but just now The Face Shop also launch hair products as well. hye, ain here come&follow your blog! Castor oil is said to help with hair and scalp.